A family from Triadelphia WV has filed a truck accident personal injury lawsuit against UPS, after a crash led to a woman’s injuries. The woman and her family have filed suit in Ohio Circuit Court against both UPS and the driver of the truck. The suit alleges that the plaintiff was traveling on I-70 in a Kia Optima when the defendant rear ended them in his Volvo tractor trailer owned by UPS. The suit claims that the truck driver was driving too closely and did not brake in time. He also allegedly was operating the truck at too high a speed and violated Federal Motor Carrier rules. The woman suffered injuries to her head, neck, tissues and muscles. As Virginia and West Virginia truck accident attorneys, we know that big rig drivers often violate FMCSA rules because they want to get to their destination as quickly as possible. That is why each state has written a comprehensive commercial driver’s manual that details the responsibilities of the truck driver. For example, the Virginia Commercial Driver’s Manual states that a truck driver must have space in front of his rig so that you can stop suddenly if needed. The CDL states that most truck crashes are caused by the rig rear ending the vehicle stopped in front of them. The manual further stipulates that big rig drivers should, in good weather, allow for two seconds for each 10 feet of their vehicle length over a speed of 40 MPH. If the weather is poor, the driver should add another second or two to this calculation. If a 40 foot big rig is going over 40 MPH, he should allow five seconds of space from the vehicle ahead of him. Apparently this driver failed to do so and it led to serious consequences for this innocent woman. We have worked on rear end truck crashes before that led to deadly consequences, such as this $3.5 million settlement. 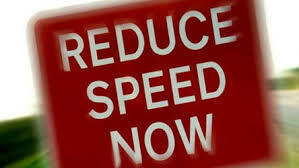 Truck drivers should note that driving too fast for conditions can kill and injure others. It is just not worth it.